Katniss Everdeen survived the Hunger Games, Now the Capital wants Revenge…. Catching Fire is the second book in the Hunger Games Trilogy by Suzanne Collins. The story continues in the world of Panem, and follows Katniss Everdeen’s journey after she and Peeta Mellark win the 74th annual Hunger Games as “star crossed lovers”. Without their knowledge, this has caused all twelve districts to see their win as a symbol of hope, and start to rebel, causing an uprising against the much hated Capitol. This year is a special Hunger Games that the Capitol calls a “Quarter Quell”, and Katniss and Peeta find themselves selected as Tributes once again, to be thrown into the arena to fight for their lives against other previous winners of the games! With an uprising they apparently ‘caused’ and another Hunger Games to survive, Katniss and Peeta begin another life or death adventure to desperately try to keep each other, and their loved ones, alive! I felt that this book started off extremely slow and took me ages to get into. It actually didn’t get exciting at all until chapter 12, when the announcement was made about the rules of the Quarter Quell for the 75th Hunger Games. I admit that when I got to this part of the story, I felt it would be very similar to book one and didn’t think it could possibly be as good. While I wouldn’t say that I was mistaken, as it was quite similar, I still loved it and couldn’t put it down! I loved the fact that it was a different take on the games with the previous Victors having to fight again. I guess I found it a lot easier to read when it was not young children getting murdered. I can definitely see how the braveness and determination in Katniss– even after all the blame president Snow has put on her shoulders – brings hope and inspiration to all the districts! Her character in this book did annoy me a little this time though especially with the love triangle! I was disappointed how the love triangle eventuated as I was expecting it to be much more intense. Katniss just seemed very confused, one minute she likes Gale, next minute she likes Peeta, then she loves Gale, then she starts to fall in love with Peeta … Argh – I just wanted to scream at her to make up her mind!! When we get to games however – that’s when everything I loved about Book 1 came through, and was present in Catching Fire! The secrets of the Arena set up and theme were very clever, and once the action started to intensify, I really started to enjoy the book a lot more! All in all this explosive series is a great read, and again, I would recommend this book to anybody who has not read it yet!! The Hunger Games have begun. In the ruins of a place known as North America, lies the nation of Panem, a shining Capitol surrounded by twelve outlying districts. the Capitol is harsh and cruel and keeps the districts in line by forcing them to all send one boy and one girl between the ages of twelve and eighteen to participate in the annual Hunger Games, a fight to the death on live TV. Sixteen year old Katniss regards it as a death sentence when she steps forward to take her sisters place in the Games. but Katniss has been close to death before – and survival, for her, is second nature. without really meaning to, she becomes a contender. but if she is to win, she will have to start making choices that weigh survival against humanity an life against love. Each year for the last 74 years the Hunger games have been held in a country called Panam, which has been divided into 12 districts that are ruled by the Capitol, which defeated them all in a tragic war. The residents of the Capitol live in luxury, with beautiful dishes available anytime they choose, while the unkempt people of the districts struggle to put food on the table. In order to keep the 12 districts in line, every year the Capitol requires each to provide two tributes, a boy and a girl between the ages of 12 – 18, which are selected at random in what is called a reaping. Both are then groomed and trained and then sent into an arena to fight and kill each other until only one of the 24 remains alive. Katniss Everdeen lives in District 12, and has been providing food for her family ever since the untimely death of her father. She does this by illegally hunting animals with her bow and arrow skills, and her ability to track and snare rabbits and squirrels. She also helps them to survive by signing up for the tessera, a ration of grain that is given in exchange for placing your name in the reaping. This year, Katniss has volunteered for the games in place of her younger sister Primrose, who was chosen as the original tribute, along with the baker’s son, Peeta. Both are then taken to the capitol, where they meet their trainer Haymitch. After weeks of eating amazing food, being made beautiful, and hard training sessions, both are ready to fight in the Arena, and so the Hunger Games begin! 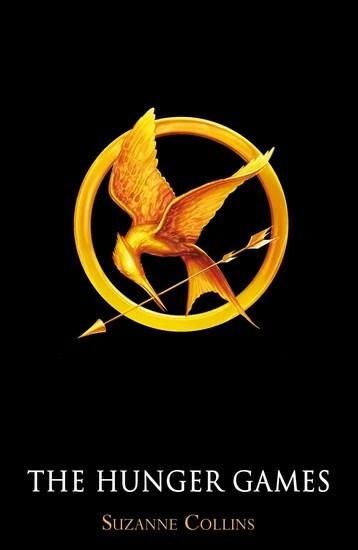 The Hunger Games is the first book in the Hunger Games series, which last year was made into a movie! I know I’m a few years behind in reading this book, as it never sparked my interest, however once the movie came out and received such an amazing response, I decided to give the book a go before seeing the film. Needless to say I was interested from the first page and couldn’t put it down! I’m so glad that I made this decision as it is a truly amazing and captivating story! I was also pleasantly surprised when I discovered there was a love story behind all the action! In regards to the characters I love Katniss!!! She is such a strong protagonist and the use of her assets – her bravery, her determination to see her family again, and to fight for what is right – is what helps her survive the competition and eventually win the Games! Peeta I thought was a bit of a “sissy” that I found I was always feeling sorry for but ultimately his character was likable enough. Gale – Katniss’s best friend – appearing only at the beginning of the first installment definitely seems like he will become more of a main character and I’m excited to see what will eventuate between these two. Whatever is to come, it certainly feels like it has the makings of a major love triangle! There were some parts of the story that were extremely sad and heartbreaking. The fact that 12 year old’s were made to participate in the games, as well as the fact that these young children are made to murder each other – some with no mercy at all – gave me that horrible feeling in the pit of my stomach whilst reading. For that reason I don’t believe it should be classified as children’s book, but more of a YA book. All in all it was a great read, and the movie definitely did not disappoint either! I would recommend this book to anybody who has not read it yet, and I can’t wait to read the second installment Catching Fire – before the movie of course!